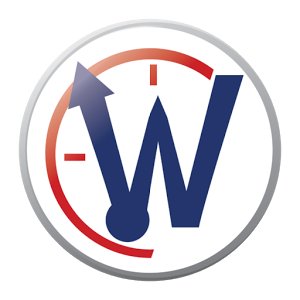 WhenToWork is a cloud-based employee scheduling software for small to medium-sized businesses. Its features include automated scheduling, third-party integrations, customizable reports, automated email and text notifications, a mobile app, and more. In this article, we covered user reviews and pricing. Ready to try WhenToWork? Get a free trial. Users who gave WhenToWork a positive review said that the program is easy to understand and straightforward to use. They also commended its auto-scheduling and notification capabilities, as well as its ability to seamlessly integrate with third-party apps. As of the date this article was written (10/11/2018), there are very few negative WhenToWork user reviews online. However, some users reported that they encounter occasional lags when using the program. A user who gave WhenToWork a critical review on G2 Crowd said that while he finds the app useful, he noticed that it is slow to respond at times. He also mentioned that the overall layout and formatting of the program needs to be updated for a more modern feel. WhenToWork offers a single subscription plan that ranges from $15/month (1-10 employees) to $108/month (151-200 employees). The pricing depends on the number of employees a company has. Businesses with more than 200 employees can go to their pricing page and use the pricing calculator to get an estimate of their subscription amount. *The quarterly, semi-annual, and annual plans are paid in full at the start of the billing cycle. Ready to try out WhenToWork? Get a free trial. No credit card is required to get access to the 30-day free trial. Not sure if WhenToWork is the right fit for you? Read our reviews of all top employee scheduling software or check out one of these three WhenToWork competitors. It makes it easy to create schedules for work. It’s super convenient. The mobile app needs some work. There have been times when I’ve needed to set my availability on the go and wasn’t able to because that option isn’t available on the app. I wish I had known about the app issues. I like the fact that you can import a schedule. Employees can get notifications via text or email. It is also easy to use. It is awesome to no longer post schedules or call employees about schedule changes! This makes is so much easier and notifies employees of changes. Also, no excuses because employees can check their schedule whenever they want. It would like to be able to repeat just one block at a time for several weeks, thus one star off for ease of use. There is really nothing that I wish I had known prior to purchasing.